Perform at 1/2 Black, 1/2 White, Looks Mexican! 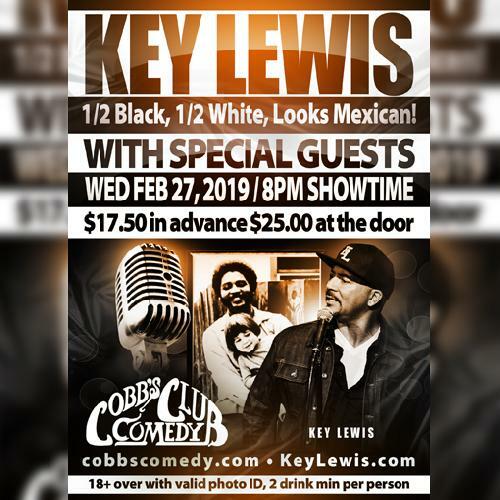 Gigs San Francisco CaCobb S Comedy Club 1/2 Black, 1/2 White, Looks Mexican! we can offer some time to local that has a following. we are marketing and inviting the 35+ Urban crowd. we will have a full house average age 42....contact us for details and we will see how you'd fit.